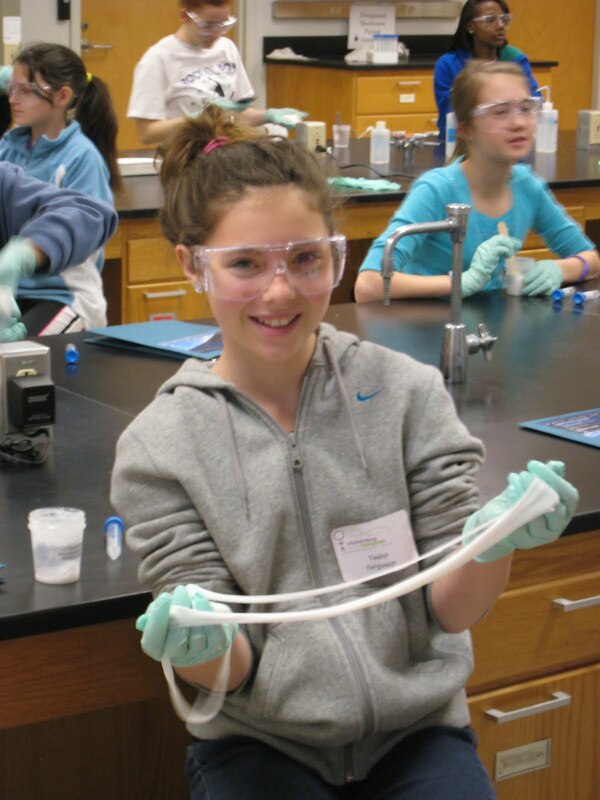 WHAT: The American Association of University Women (AAUW) - Springfield Branch will host "Expanding Your Horizons in Math, Science and Technology" – a hands-on conference designed for girls in sixth, seventh, and eighth grades. Sessions will also be offered for parents & teachers. WHEN: Saturday, March 17, 2012 from 8:00 a.m. to 12:45 p.m. DETAILS: Many cutting-edge careers will involve science, technology, engineering and math and will be wide open to well-prepared young women. 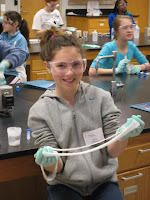 Girls who attend this conference can choose three sessions from more than 20 hands-on, experiential workshops. Separate workshops for parents and teachers will be held concurrently. Girls’ workshops will allow participants to interact with successful women who are scientists, physicians, engineers, architects and professionals in many other careers traditionally held by men. They will meet other girls with similar interests and learn about career opportunities for women. Workshops include Soar into Engineering, Could You Be A Physician?, Are You Superhero Material?, From Science to Smoothie, and Medical Laboratory Investigators Solve A Mystery, among others. The workshops for adults are designed to provide information on how to help girls cope with issues common to their age group and provide links to the resources they will need for access to higher education and careers. The event is presented by AAUW and is sponsored by the University of Illinois Springfield and The Children’s Center of Mental Health Centers of Central Illinois, a Memorial Health System affiliate. Advance registration is required and space is limited for this event. For a brochure and registration information, call 217/793-1710 or go to www.EYHSpringfield.com.